When I set out to create a full body workout system, I knew it was going to be a huge challenge, because I wanted it to be for ALL people of ALL ages, regardless of their fitness level. I wanted to have a complete system for people who were completely out of shape all the way up to serious workout fanatics. That meant I needed three distinct levels with a common thread throughout the whole program. That way, ANYONE could start at Level One and get fantastic results, while working all the way up to Level Three for the most advanced fitness ninjas. This program took years to create, because I am a perfectionist and only use the best exercises, stretches and techniques that get the best results… My system starts with the most important fundamentals of flexibility, strength and stability and then kicks it into high gear with levels Two and Three for life transforming results. 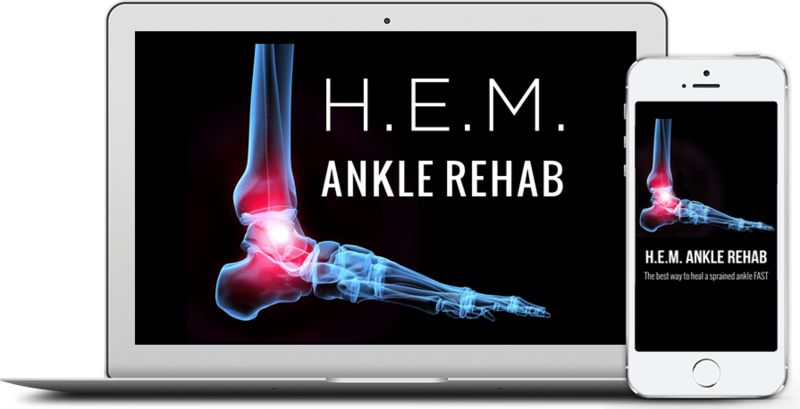 IN FACT, MANY PEOPLE COMBINE THE HEALING PRINCIPLES OF H.E.M. AND THE D.O.M. SYSTEM TO REDUCE PAIN AND STRENGTHEN OTHER AREAS OF THE BODY (THE KNEES, SHOULDERS, HIPS, LOW BACK, ETC…). In a nut shell, the D.O.M. system will teach you the best exercises and workouts for the ENTIRE BODY, which will help you achieve maximum fat loss, lean muscle, real world strength, healthy posture for that stunning physique and finally, correcting muscle imbalances to reduce chronic pain. Not only that, but we have beautiful color pictures and easy to follow instructions for every exercise, so you will finally learn the proper form and get ALL the benefits from these amazing workouts. PLUS, this system is unique, because you can tailor it specifically to your needs. Unlike other rigid programs, we show you how to make any exercise work for you. The progressions work for ALL fitness levels. Finally, I designed the entire system without the need for ANY equipment, which means you can do all three levels ANYWHERE. This is absolutely essential, because it frees you up to workout anywhere, anytime, without expensive gym memberships and/or workout machines and equipment. > 3 LEVELS… Seamless progression from one level to the next for results you have never experienced before from other fitness programs. > No more gym fees, no expensive equipment to buy. Now, you can workout from home or wherever you want! > A LIFETIME of the best stretches, exercises and workouts you have ever done! > Totally complete from warm up to cool down, teaching you revolutionary ways to transform your body. > Will help you burn fat and get toned FAST! This system supercharges your body’s ability to lose fat and keep it off! > Helps correct postural distortions, inflexibility and muscle imbalances that cause chronic pain… this system will show you how to get rid of it naturally and safely. > Significantly reduces the risk of injury while also dramatically improving functional, everyday movement. > Will take ANY experience level of fitness and significantly improve their over-all performance. > Significantly improves strength, endurance, power, agility, balance, coordination, etc. > We make the workouts fun and challenging… feel better, sleep better, increase your self confidence and have an overall higher quality of life. > You can do the workouts Anywhere AND Anytime! > Takes you through every step of the workout from warm up to workout to cool down with complete workouts you can do for life! When I set out to create a full body workout system, I knew it was going to be a huge challenge, because I wanted it to be for ALL people of ALL ages, regardless of their fitness level. I wanted to have a complete system for people who were completely out of shape all the way up to serious workout ninjas. That meant I needed three distinct levels with a common thread throughout the whole program. That way, ANYONE could start at Level One and get fantastic results, while working all the way up to Level Three for the most advanced fitness fanatics. In a nut shell, the D.O.M. system will teach you the best exercises and workouts for the ENTIRE BODY, which will help you achieve maximum fat loss, real world strength and endurance, healthy posture for that stunning physique and finally, correcting muscle imbalances to reduce chronic pain. Not only that, but we have beautiful color pictures and easy to follow instructions for every exercise, so you will finally learn the proper form and get ALL the benefits from these amazing workouts. PLUS, you can tailor any exercise to your fitness level and there are plenty of challenges every step of the way, so you will never get bored.